I bought these little containers to prep smoothies the night before. They are just simple containers, but it will be a huge factor in my success going forward. On my work days I need to be set up for success. This is my week one, and I’m beginning strong. I did a mini plant-based haul and I’m ready to rock it. My smoothie consists of spinach, kale, blueberries, banana, chia seeds plus soy milk and a little peanut butter with no salt. My 30 day challenge will actually be a few days longer than 30 days. I want my one cheat day to be on my day off. That will be the day I weigh in. In the next 30 or so days I will be posting what I’m eating and how it’s making me feel, including recipes. Day two and any heart burn I had from eating consistent processed food is gone. I will also be going over my workouts, and what I’m doing this time to get in the best shape of my life. My week one is all about getting back to basics, finding my footing through clean eating nutrition. Have a wonderful Wednesday. It’s never too late to dream a new dream or revisit dreams you never were able to accomplish. As long as you are breathing there is time. 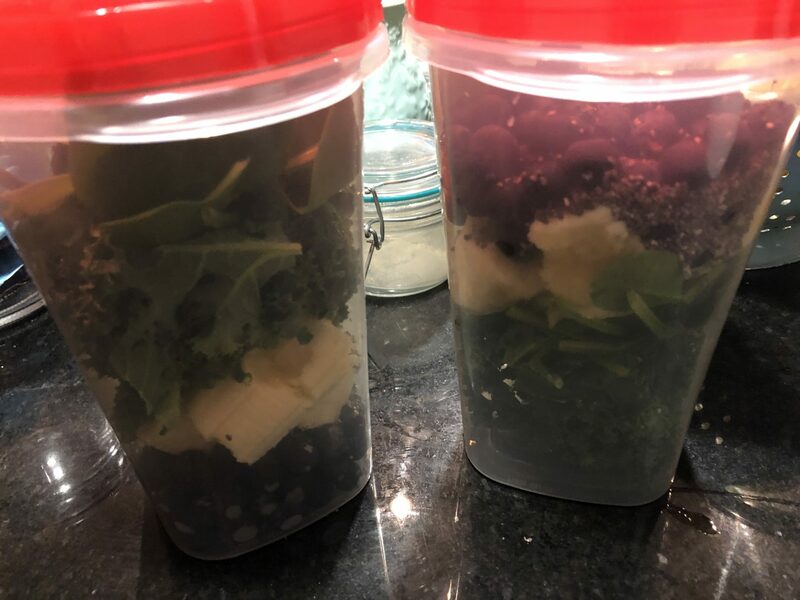 This entry was posted in blog, clean eating, dreams, forks over knives, goals, losing weight, motivation, plant based, starting over and tagged 30 day challenge, Smoothie prep, Smoothies, vegan, Vegan smoothies, Whole Foods plant based on February 13, 2019 by mychangeforaten.